In April of 2011, CBS ran a little blurb on the Royal School of Needlework, gearing up for the royal wedding that took place the same month. 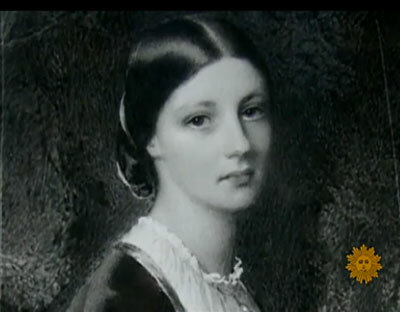 This past weekend, CBS re-ran the video on the Royal School of Needlework, with some interesting additions. Besides getting a relatively close-up view of the Royal School of Needlework, you’ll see wonderful close-ups of some gorgeous pieces of needlework. You’ll also be treated to a very brief history of the school, from its founding to its work today. Dr. Lynn Hulse (who wrote the introduction to the Royal School of Needlework Handbook, reviewed here) is also featured in this clip. It’s definitely worth taking the less-than-six minutes to watch the video. 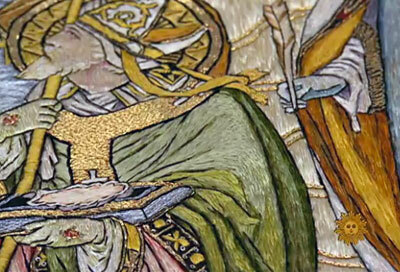 You can watch the Royal School of Needlework video on the CBS website, where it’s accompanied by a short article. Thanks Mary for the video. It was so interesting. I watched it twice. It would be a dream to take a class at RCN. Or just to visit. Have a great day! Thank you so much for the lovely coffee break entertainment today…just perfect! And its inspiring to see so many young faces with fresh approaches being royally trained. Thank you for the link to the CBS video report. I was fortunate enough to visit Hampton Court Palace and just got chills realizing everything that happened there. I even had my picture taken at the door to the RSN! Next time a class perhaps? It was a good video, and I really liked that they pointed out that it wasn’t all “little old ladies” as many people seem to assume. It’s encouraging to see so much young talent keeping the knowledge alive. And the closeups of the needlework….nice! I’d love to go take classes there someday, or even just a day sitting in the corner watching. Thanks, Mary, I remember seeing the RCN offices when I was last at Hampton Court Palace. Isn’t it a fabulous place? And wouldn’t it be fantastic to be able to go there? Alas ’twill not be me. Thank you for finding and showing this Mary. BTW, did you notice the Tudor roses on the Salisbury Cathedral cope? Thanks so much for your website, the tutorials are so very helpful. Keep up the good work!